Glencore's investor day on Tuesday painted a positive picture not just of the Swiss miner and commodities trader's business but also had good news for the mining industry as a whole. Glencore commissioned CRU to measure the impact the global shift away from internal combustion engines to an electric vehicle market would have on metal markets. The London-based research company modelled metal requirements across the supply chain – from generation and grid infrastructure through to storage, charging and vehicles – based on relatively modest penetration of EVs in the total global vehicle market out to 2030. According to the study as early as 2020, when EVs would still make up only 2% of new vehicle sales, related metal demand already becomes significant, requiring an additional 390,000 tonnes of copper, 85,000 tonnes of nickel and 24,000 tonnes of cobalt. Based on an EV market share of less than 32% in 2030, forecast metal requirements are roughly 4.1m tonnes of additional copper (18% of 2016 supply). 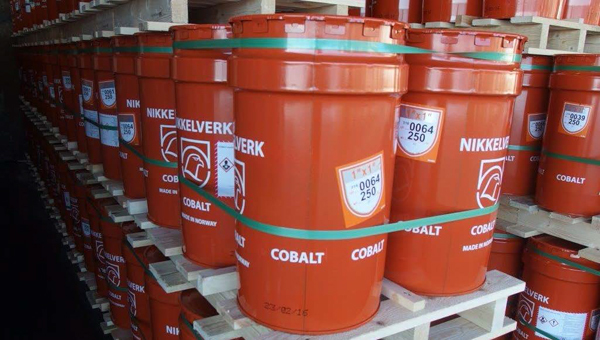 The move away from gasoline and diesel-powered vehicles would need 56% more nickel production or 1.1m tonnes compared to 2016 and 314,000 tonnes of cobalt, a fourfold increase from 2016 supply. Glencore said the company will double its cobalt output to 63,000 tonnes by 2020, mostly as a result of restarting its Katanga mine in the Congo. Katanga would also lift copper production to over 1.6m tonnes by then from 1.3m tonnes in 2017. Glencore is growing nickel production by more than 20% to 142,000 tonnes over the same time frame. Although the market is currently strong, predicting future price levels is difficult as lithium is abundant and many new projects are under way.